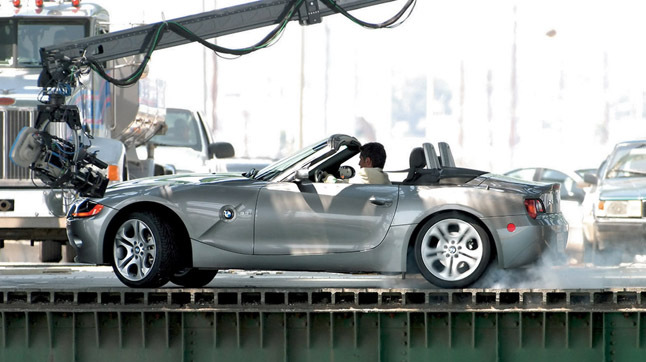 A BMW Z4 spins into action during the filming of “Hostage”, directed by John Woo, in Long Beach, California on Saturday, August 3, 2002. “Hostage” is part of bmwfilms successful Internet series “The Hire” that features original short films by some of Hollywoods most noted directors. The second season premieres in October on www.bmwfilms.com.